When to begin shopping and when to wrap up your purchase. The best day to book a flight in the U.S. is Tuesday at 3 p.m. Eastern Time. This is when airlines release the most sales and the competition matches the lower prices so you have more deals to choose from. If you shop too late, you may be hit with the steep prices last-minute business travelers pay but shopping too early can also cost more. These shopping windows yield the best-priced fares. The best time to buy airline tickets for U.S. travel is at least 30 days before departure and up to 3 months in advance. International tickets should be purchased between 1 1/2 to 5 1/2 months before departure. During peak seasons such as June, July and August or December holidays, purchase tickets two months in advance. When you are ready shop, compare first. 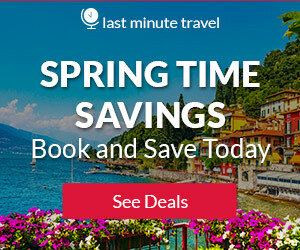 Find flights faster & affordable with ExploreTrip.com . First and foremost, you should always compare airfare and you should always set airfare alerts. Why would you compare airfares? The reason is quite simple: No airline always has the best prices. Not Spirit, not Southwest, not every single time. If you don’t compare airfare prices – and it only takes a second – you could pay too much. If you know where you want to go, set an airfare alert. This too takes just a second, but is so easy because the deals come to you. When you find a good deal, act fast; others have set alerts too and cheap seats are always limited. Go to airfarewatchdog.com and set up your airfare tracker now. Many airlines and travel web sites (such as Expedia, Kayak, etc.) track how many times you’ve visited their websites. In so doing, they provide different offers and deals depending on the user. To make sure you’re getting the best prices when you book air travel online, be sure to clear your web browser’s cookies and cache. This will make it appear as if it’s your first time visiting these sites, and you’re likely to see much better prices for your next flight! When are the cheapest days to fly? These are general guidelines for the cheapest days to fly on U.S. domestic routes. There are exceptions, so another good reason to compare fares, and compare fares for flights on different days and times. Cheapest days: The cheapest days to fly are unpopular travel days; Tuesdays, Wednesday and Saturdays. Expensive days: The most expensive days to fly are the most popular days; Fridays and Sundays. Cheapest times: Fly when most people don’t want to, including flights at dawn, red-eyes (overnight flights) and flights around the dinner hour. When you’re not shopping just for yourself, shop one ticket at a time. When you are ready to book the flight, book just one ticket to start. The reason is because of a quirk in airline reservation systems that requires multiple tickets sold in a single transaction be the same price. Shopping one ticket at a time can save money. Example: An airline has one ticket left for $100; all the others on that flight cost $200. If you shop for two tickets at a time, you’re going to pay $200 for each ticket, the most expensive price. Shop for tickets one-at-a-time in separate transactions and you’ll get each ticket for $100. If you can be flexible in your travel plans, you can save a lot of money. Connecting flights are cheaper than non-stop flights. Of course, non-stops are more convenient, but there are always better deals to be had with connecting flights. Adding a stop, or two, can sometimes save you as much as 50%. Flying out of a bigger airport can also save you on the ticket price. Bigger airports, especially hubs, often have cheaper airfares. Compare prices from the closest airport to you, as well a larger airport and you may find that the longer drive is worth it. GREAT program to manage all your loyalty program balances in one place: your Points Loyalty Wallet. Add programs to your wallet by entering your account information, and they’ll show you all of your balances at a glance, updated in real time. Currently, you can track over 100 programs. You can redeem your loyalty points and miles for more than just travel! Use your wallet to reward yourself with shopping, dining and entertainment gift cards from retailers like Amazon.com, Best Buy, iTunes, Macy’s, Starbucks, Cineplex, AMC, Target and many more. Build up your favorite balances faster by using your wallet to move points and miles between your loyalty programs. There’s no fee to exchange points or miles between your programs. This is a great way to get the points you need for airline and hotel miles. Join Points.com here. I love the tips you’ve provided here! I rarely travel, but when I do it’s to go to the Caribbean to visit my mom. I’ll be sure to come back to this site to see if I can get some great deals. Great site! Great Dawn, thanks for stopping by beach travel destinations. I love the clarity and layout of your website. There are lots of important information that will be useful to me and family on our next vacation. Congratulations on a job well done. It is definitely invaluable information for sure! I am glad it is helful for you. Thank you for visiting BeachTravelDestinations.com. That’s great information. There were lots of tips I had never thought of before, like clearing the cookies to search again. Definitely worth using these to get the best airfare price I can. I have bookmarked your site and will come back to these tips when I am ready for my next trip. Thank you! You are welcome Jennifer and these tips really do work! You can save money on flight by, well first of all being a little flexible. Sometimes that is just not in the plan when you have specific dates, but it is the best way to get your lowest airfare. Thanks for reading my tips on airfare. I’ll be flying a lot within the next few years, and because I’m a complete newbie to flying, these tips really helped me a lot. In fact I had no idea that different places offer different deals. I thought everything was the same price! Also, the tip about buying one ticket at a time is handy. Thanks a lot. Hi Leahrae, This is a great post on airfare! I really did not know about these different methods of saving money when buying an airline ticket. Especially like deleting the cookies when checking flight prices again. I am so glad I found this information! I can’t wait to give it a try when I purchase my next airline ticket. Thank you! I am glad you found this information useful. I think everybody deserves to get the lowest airfare they can. With these methods, you are sure to find the best price. Thank you for taking the time to comment. Travel is my passion and finding ways to save on airfare, the biggest expense is always a welcome find! I will refer back to this before I buy my next tickets. Great article Leahrae, always producing top quality information! I am not located in the US unfortunately but I’m sure it’d work in similar ways, in terms of what days it’d be cheaper to purchase flight tickets. Might need to try out the websites you recommended for my next trip! Thank you! Yes, Jeremy the airfare tips work for anywhere you are located. All the airlines work the same 🙂 You will be able to save some money on airfare by using my tips and websites 🙂 Thanks for visiting BeachTravelDestinations.com! Hi, Leahrae! As your website has so many great articles written by you on travel destination, I thought it awesome that with this article it is devoted to providing tips on airfare. With the continued growth of the Internet, a person if motivated would be able to conduct extensive research online to find the best fares for that trip. It’s no longer the year 1990 when, if you could not get a deal from that one travel agent who had set up a trip for you, the only other recourse was to call the airlines and be trapped into paying whatever fare that they chose to charge with you being at their mercy. There really are a lot of online sites that specialize in vacation travel, including working out deals regarding airfare. A person would need to study 4 or 5, (possibly more) different sites to find the best deal. I remember my last trip to Hawaii back in 2012, I actually was provided the ability to pay specific fares based on where I would make that one connection coming from North Carolina out to the west coast which I did out in San Francisco. There is no such thing as a direct, non-stop NC to Honolulu flight on any airline. Even having the ability to study the different flight times, I actually picked one that involved a certain sized jumbo jet, (Boeing 777) that I had never flown in previously in my life on that second leg out to Honolulu. The price was lower on that flight, even though it meant a longer layover, (a few hours) in SF. This would not have been possible 20 or so years ago! Your other important point that you made, Leahrae – airfare being different according to the particular time of week that a person would travel is also some crucial advice. Airfare is usually higher on the weekends. I also got a lower fare on my roundtrip to Hawaii by choosing to fly both ways on a weekday, instead of a weekend. One other thing: The traveler should ensure that he/she books the flight as early as possible. With my vacation experiences what I’ve learned is that the later you book a flight, the more $$$ it would cost you! Thank you so much Jeff for taking the time to leave your wonderful comments! I agree with everything you say 🙂 It is definitely worth it to shop different dates and times. Airfare does not have a “set” price for sure. Thank you so much for visiting BeachTravelDestinations.com. I think you really like traveling. Me too. Your post on airfare is really informative. A lot of this information I did not know before. I will look forward to putting it good use when I purchase my ticket. Looking forward to a cheaper ticket. Thanks! Yes, I do like traveling 🙂 You will find that you can get lower airfare by following my tips, guaranteed. Just play around with the dates and follow the other tips ! Thanks for reading tips about airfare on BeachTravelDestinations.com. Great information to have. I especially liked the section on buying one ticket at a time and wish I had known that before purchasing an expensive ticket for the Christmas holiday. Hi Tanya, at least you know now and for your next airfare purchase, you will be able to get a good deal. Glad I could share this airfare information with you! I am telling you that it works 🙂 I am glad you now know how to get your airfare at a little better of a rate. Thanks for reading and taking the time to comment Lace! You have a great site here and I am sure a lot of people will find it very informative and helpful. Hi Cristina, I am glad the information was helpful to you in finding a great rate on an airline ticket! That is what I want, is for people to find some great deals and be able to travel more. Thanks for visiting BeachTravelDestinations.com and reading all about how to save on airefare. Nice! I’ve always wondered when is a good time to buy air tickets. Great information on your post! Great site by the way, tons of great information! Thanks Mimie! Glad you found this information and thank you for visiting BeachTravelDestinations.com!